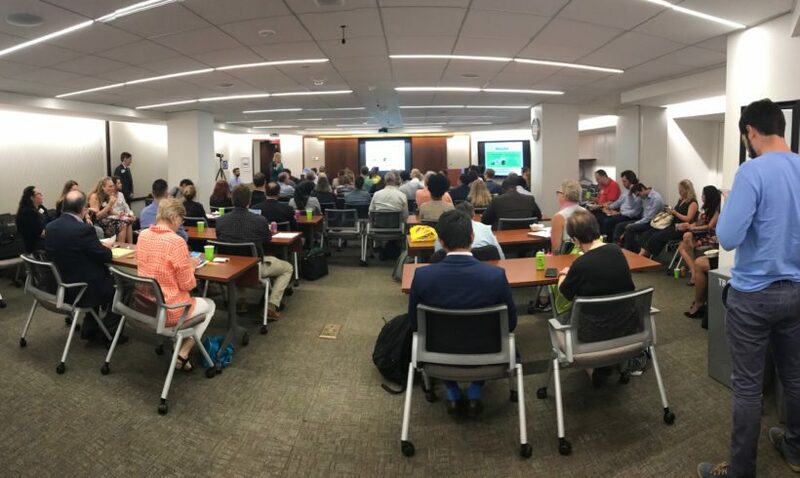 Leaders in Energy held its 5th Annual Green Jobs Forum on “Growing a Clean Regional Economy” on August 16, 2018 at the Metropolitan Washington Council of Governments. The event featured two moderated panels for guests and exhibitors. The first panel, “What’s Going on in the DMV on Green Jobs?” featured four panelists: Todd Beazer, Dr. Taresa Lawrence, Ashante Abubakar, and Natalie Monkou, and was moderated by Janine Finnell. The nation’s capital and surrounding areas are hotbeds for positions that ultimately serve to combat climate change or protect natural resources. Of course, anyone working in environmental policy would appreciate proximity to federal legislators, but D.C. also boasts a robust network of cleantech companies and sustainable development organizations. What better place for a young green professional to jumpstart their career? 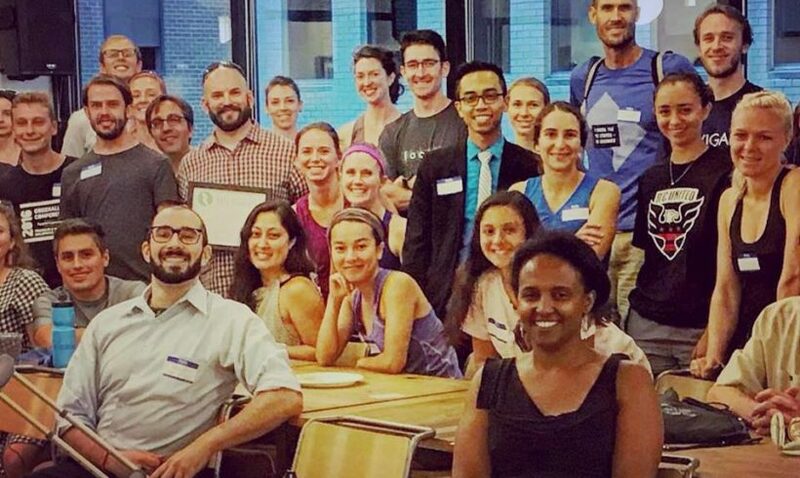 This coming week at our 5th Annual Green Jobs Forum, Spencer Schecht, co-owner of Green Drinks DC, will be running a workshop entitled “Fear is Your Copilot: Networking in Washington DC”. We wanted to take the time to catch up with Spencer and hear about his experience as an early-career climate and energy professional in the DC area, and his tips and suggestions for clean energy jobseekers. Growing Green Careers, Jobs, and Businesses for a Clean Economy — Attend the Green Jobs Forum on August 16th in DC to learn more! 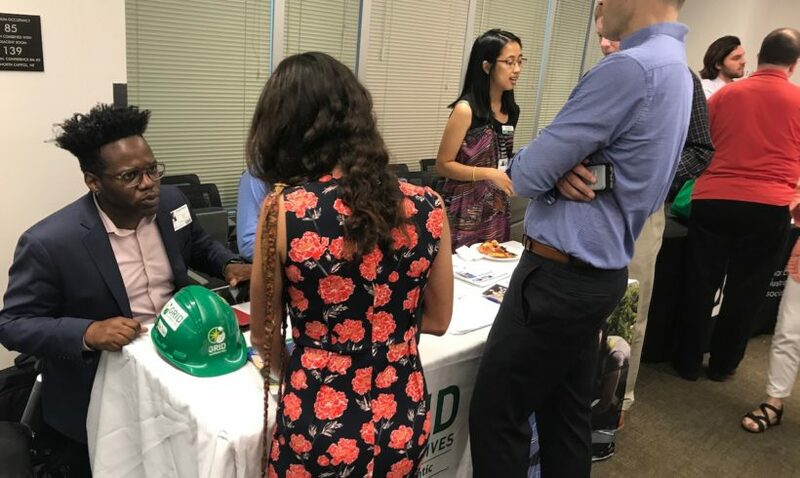 Leaders in Energy will be holding its 5th annual Green Jobs Forum on the topic of “Growing a Regional Clean Economy” at the Metropolitan Washington Council of Governments (MWCOG) on August 16th, from 5-9 pm. Pizza and beverages will be served. As the demand for renewable energy continues to increase, the industry is looking to recruit high-caliber candidates to drive green energy business forward. 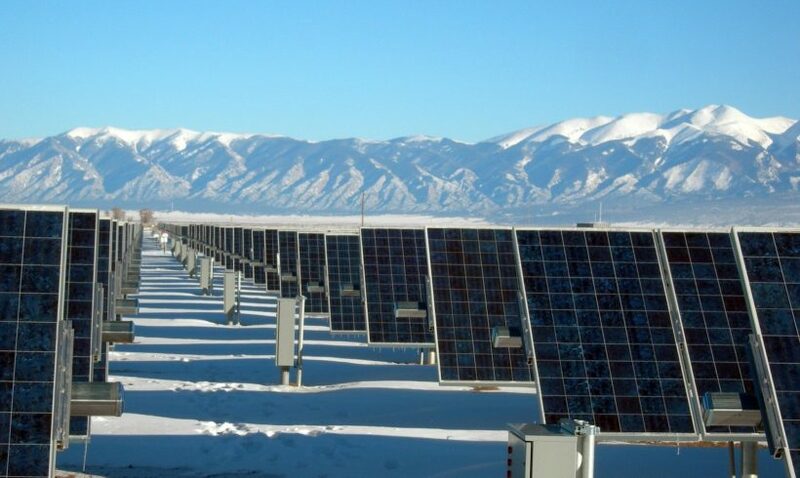 For example, according to the “2017 U.S. Energy and Employment Report” published by the U.S. Department of Energy,the solar workforce increased by 25% in 2016, while wind employment increased by 32%. “Now Hiring: The Growth of America’s Clean Energy & Sustainability Jobs”, by the Environmental Defense Fund provides examples of jobs spanning energy efficiency and renewable energy, waste reduction, natural resources conservation and environmental education. Individuals looking to enter these professions in the clean energy and sustainability sectors need to demonstrate competency in communication, an active interest in green energy, and a natural aptitude for all things technical. For those hoping to pursue leadership roles, an energy leader should be able to manage geographically diverse teams, coordinate complex technical projects and possess the ability to identify and run with new ideas.